We offer food packaging tape in large quantities to make sure you can wrap up all of the packages you need with the same roll. We also carry food packaging tape accessories like dispensers, ensuring you can keep all of your tape in one convenient, easy-to-reach location. Each packaging tape dispenser we offer is also designed to make it easier for you to tear tape with every use, maximizing convenience and minimizing product lost to frays, creases, and knots. 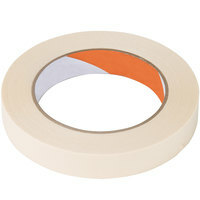 Beyond the kitchen, this food packaging tape can also be used to mend tears in paper, label food boxes, and more. 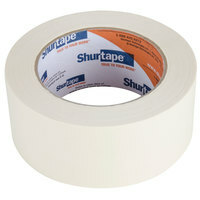 Its powerful adhesive sticks to virtually any surface, including smooth plastic and metal. 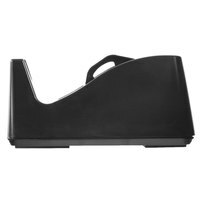 In addition, you can find a packaging tape dispenser that is compatible with multiple tape sizes so you can accommodate almost any product that you have. For additional products to go with your food packaging tape, check out our butcher paper, cupcake boxes, and bakery boxes. If you're wondering where to buy food packaging tape & accessories, we have a large selection of food packaging tape & accessories for sale at the lowest prices.